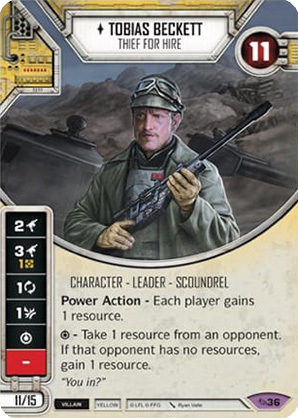 Personnage - Scoundrel - Leader. Points: 11/15. Santé: 11. Power Action - Each player gains 1 resource. - Take 1 resource from an opponent. If that opponent has no resources, gain 1 resource.